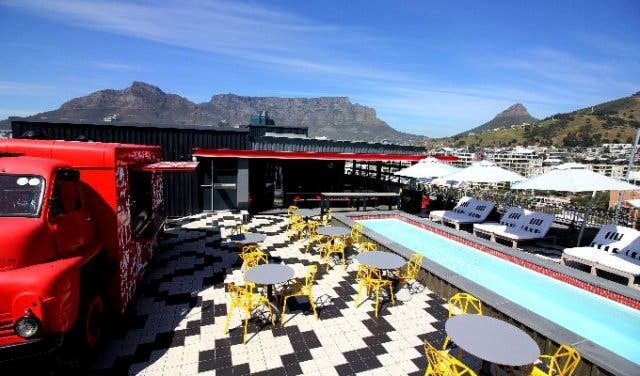 Cape Town's quirkiest, most interesting and innovative places to stay. 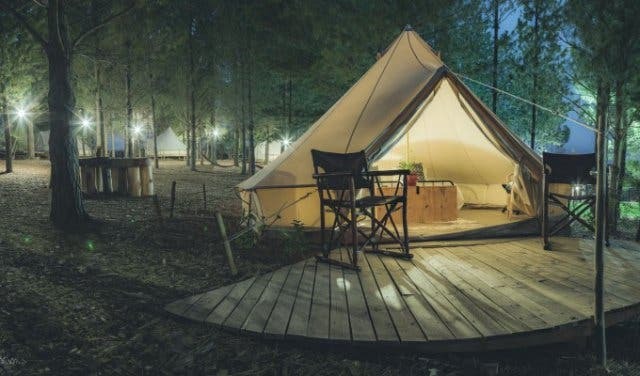 If you want to experience a getaway with a difference, then try these out of the ordinary places to stay – from a tech-savvy guesthouse to a remote cabin atop a mountain and even camping in luxury. One hour outside of Cape Town, Darling is a quaint town in the heart of wildflower country. Securely situated on 40 hectares of private reserve, The Old Pastorie is ideal for relaxing and enjoying nature. 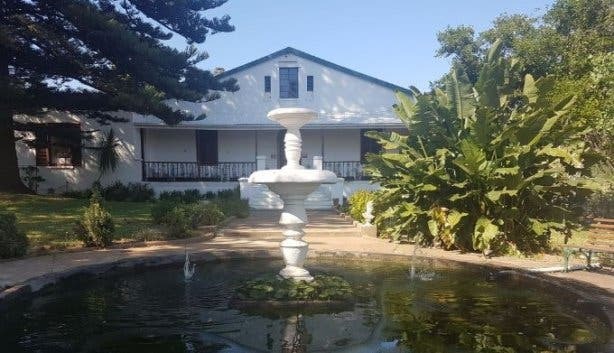 Jump in the pool in summer, visit the local museum, picnic in the garden or stop by Evita Se Perron for an evening of comedy and cabaret with Pieter Dirk Uys. Unique factor: Wake up to a symphony of birdsong courtesy of herons, spoonbills and geese on the nearby lake. Hosts, Kneale and Robert, are friendly and accommodating and if you’re lucky, you may be treated to an impressive piano solo. Rates: R1020 per room per night. Valid until the end of 2019. 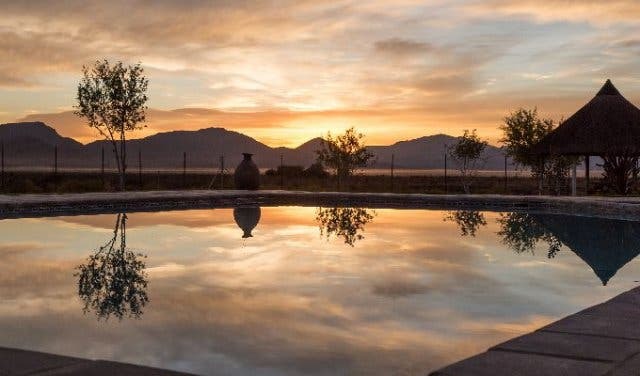 Interlinking family cottages or big self-catering group accommodation on 100% solar-powered eco farm in the Karoo – complete with electric go-karts and a racetrack for the kids. All natural and organic living and Bavarian food. Organic produce sprouted right there in the restaurant and a fun farmyard experience, chlorine-free swimming pool and hammocks as far as the eye can see. Plus: A 20 000-hectare family fun farm-drive experience with loads of wildlife to spot. For a unique getaway, check out family farm accommodation at Njalo-Njalo. 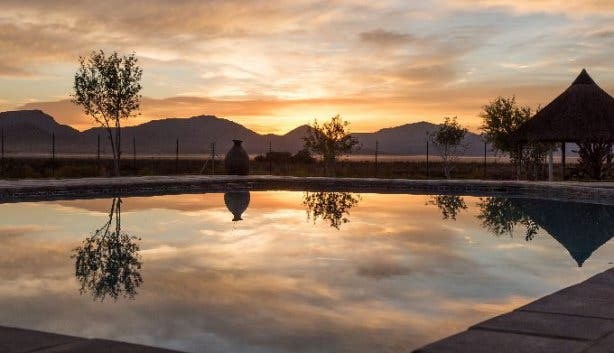 Unique factor: An eco farm that caters for children and families in the Karoo. 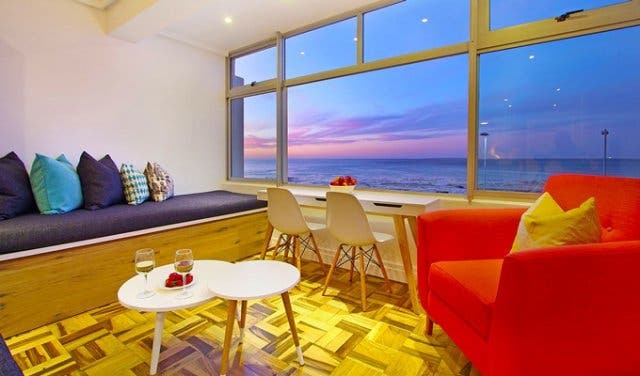 Imagine your next Cape Town stay in a quality, privately-owned, exceptionally decorated, comfortable and home-like apartment in the city or along the Atlantic Seaboard. 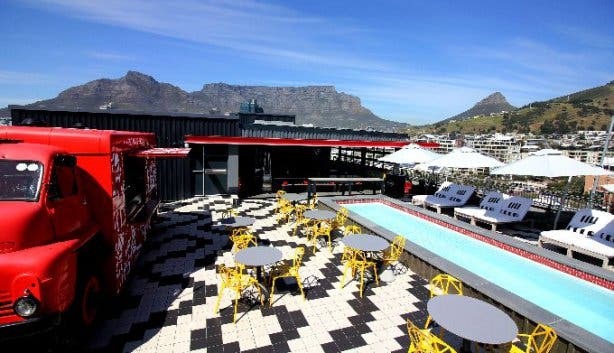 Each apartment is hand-picked to be close to Cape Town’s tourist, business and conference venues and exclusively available through the Afribode Accommodation portfolio. 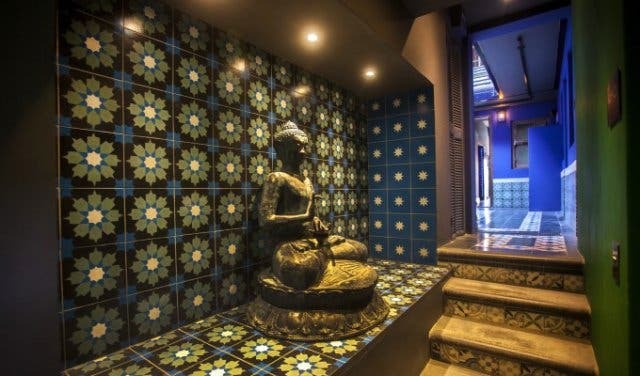 Unique Factor: Enjoy the privacy and comfort of your own private space while still being close to business centres around the city. In among the traditional Cape Dutch style guesthouses in Franschhoek is a new-generation smart guesthouse, where the rooms talk back. At theLAB Lifestyle, your wish is theLAB’s command. theLAB is really a little box on the ceiling that contains an Amazon Alexa. You can ask Alexa to turn the TV and lights on and off, run a shower, pull the blinds down, even to make coffee ­– all from your bed. Unique Factor: theLAB Lifestyle is about efficiency, but at its heart is pleasure and play: On the deck outside, you can ask Echo to play Michael Kiwanuka; there’s a mixed-reality hololens to play and design with. Alexa will (soon) recommend sites to see and restaurants for eats and you can hop on the electrical scooter or Tuk-Tuk to get there. Plus, you get holiday comforts that everyone likes: a deep pool, a spa and a Jacuzzi. 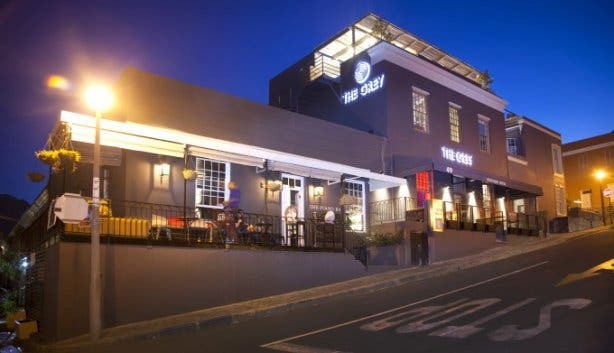 Attached to one of Cape Town’s most unique live music and good food venues, The Piano Bar, The Grey Hotel in vibey De Waterkant is relaxed, fun and exciting enough to spark your thirst for adventure in Cape Town. For meals, choose from street food to tapas-style Japanese fine dining, and enjoy live music in front of the fireplace at The Piano Bar downstairs. 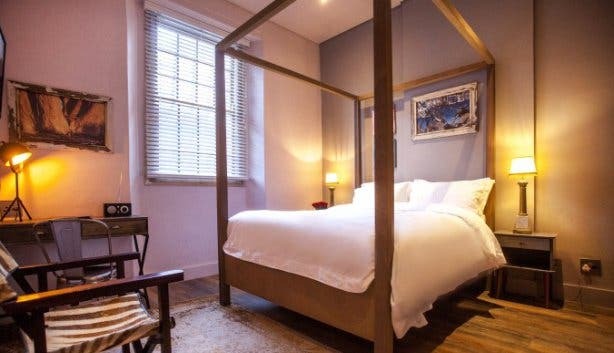 There's a two nights special valid between June and 30 September 2018 including dinner, drinks, minibar and breakfast at The Grey Hotel. Unique factor: No two rooms are the same, every item in the rooms – beds, mirrors, cupboards – is custom-built to fit the restricted spaces in this Victorian building. 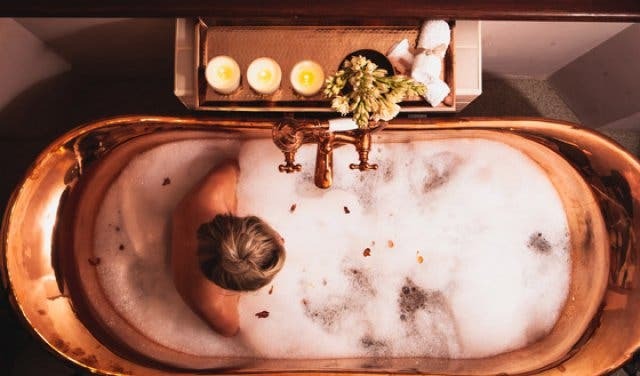 Winter special: Two-night stay for two, with bubbly on arrival, wine and complimentary tapas dinner and live music at Cape Town's Piano Bar for R2500. Use booking code CAPETOWNMAG to book this exciting winter getaway deal. Amateur chefs, aspiring foodies and adventure-seekers, this is no ordinary cooking school. This is travel cooking, meaning you can do unique food tours around the small town of Prince Albert, or go on a foraging excursion in the Karoo. 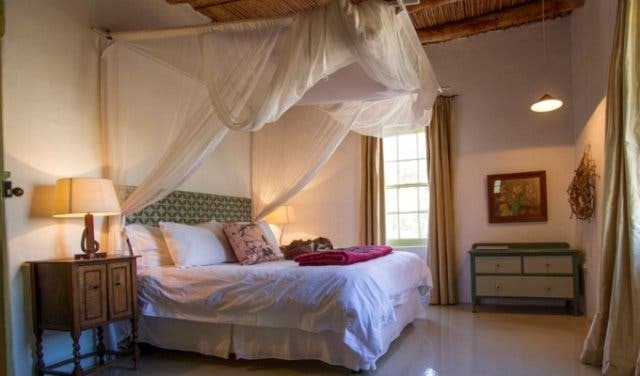 Make a weekend of it and stay at one of the Karoo-themed luxury cottages at African Relish. Unique factor: Themed cooking classes, food tours and excursions, some in a tuk-tuk. Rates: Half-day courses are from R875 per person and come with lunch or dinner. 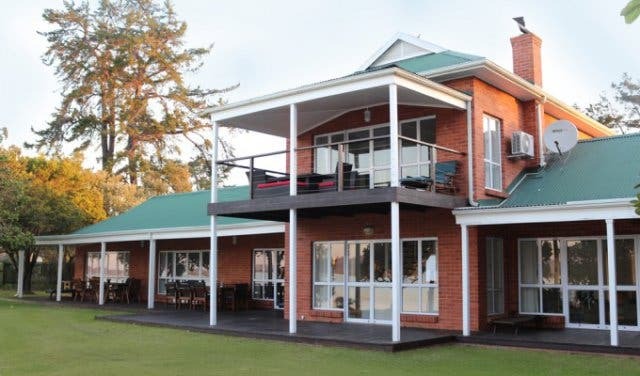 For full-day courses, the cost is R1525, including lunch and dinner. The cost for the cottages starts at R860 per person per night, depending on the cottage, to R1875 for a full cottage which sleeps four guests. Unique factor: A first in Africa. Your pets stay are welcome to stay with you and are treated like royalty. The hotel's app offers you an enhanced guest experience whereby you control your own entertainment. Rates: From R1900 for a studio, R2500 for a studio with a view, R3400 for a studio suite and R3100 for a studio suite with bunk beds (TVs installed in each bunk) for the kids. 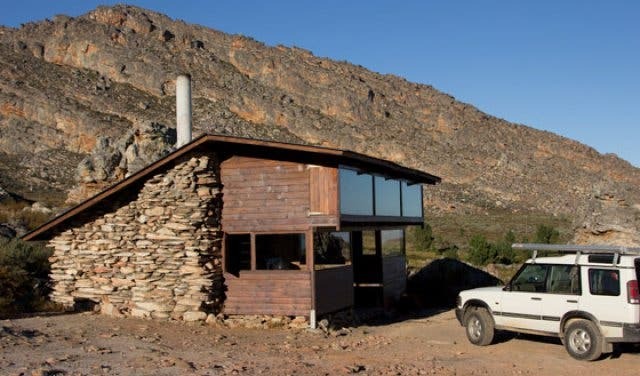 Escape to a remote cabin in Ceres atop the Matroosberg. In winter, cabins and mountains are covered in snow, providing the opportunity to partake in snow-related activities such as skiing, snowboarding and even ice climbing among others – cherry picking, 4x4 rides, trail hiking. The cabins have no electricity, but are equipped with fireplaces and hot water, creating an authentic winter ski experience. Unique factor: Fun in the snow with a host of other fun activities in a remote spot. Rates: R130 per person, no less than two days may be booked. 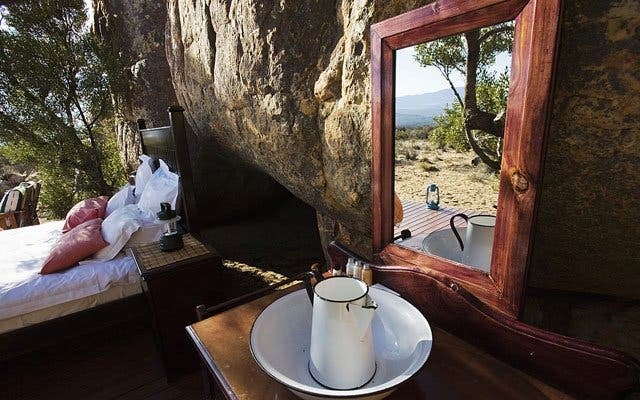 Wake up to an unfiltered view of the untouched Karoo-like wilderness and explore caves covered in Khoisan paintings at the Kagga Kamma Nature Reserve in Cederberg. Experience rock climbing, a rock art tour and a stargazing experience while sleeping under the stars at this nature reserve. There are roofed accommodation options available for those that prefer the comfort of something overhead. Unique factor: Explore the Khoisan art and stargaze at night. Imagine swinging through the forest, slinging from one vine to the next, this is what you will get at the Teniqua Treetops. 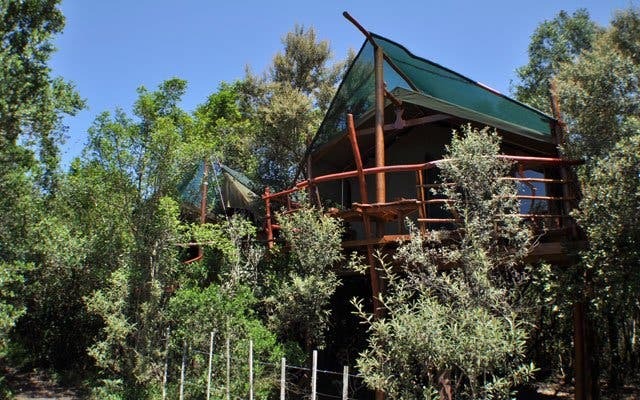 Located in the foothills of the ancient Outeniqua Mountains in Sedgefield, Teniqua comprises eight handcrafted, self-catering treetop cabins affording guests the opportunity to see the region from a different perspective. Unique factor: Glamp out in a luxurious tree house, equipped with everything from an ensuite bathroom to a kitchen. 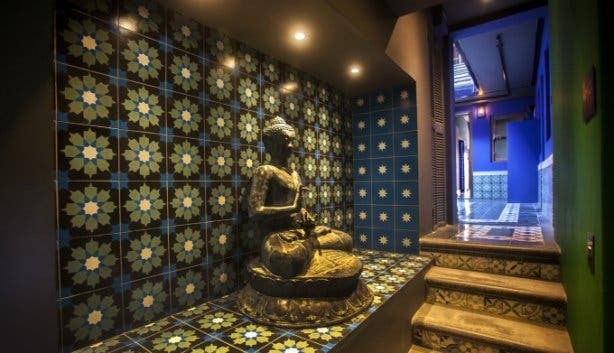 Unique Factor: Each of the studios has its own personality and style – Ebony is a statement studio in dark opulence. Blush, Haven and Mare studios are romantic and rejuvenating. Each of the La Bella Vita studios donates 3.5% of the annual profits to a specific charity. Rates: R2950 per night per studio. The winter special ends in September 2018, and is R2360 per night for two nights or more. 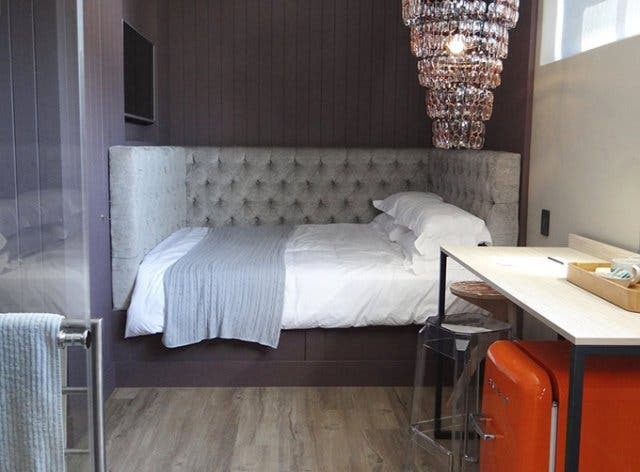 Treat yourself to a stayover at The Parkhouse Hotel, and experience sleeping in a pod. Nestled in a cul de sac in Gardens, this elegant boutique hotel offers guests a true nesting experience. The contemporary multifunctional space is also environmentally-friendly. Unique factor: Get a mod-pod experience in a sleeping booth-styled bed. It is semi-enclosed, with a pod-like structure. The headboard has deep-set buttons and velvet fabric, adding to a quirky finishing to this luxurious bed. Best to experience it for yourself. Rates: From R1590 to R2490 per unit. Discover exciting new experiences like wine-tasting in the middle of a lagoon and pirate-themed mini-golf to private fishing boat charters and renting a lakehouse with your own jetty at Lakeside Lodge & Spa. Stay over at one of the oldest houses in Observatory at Wanderlust Backpackers. Have you heard about the affordable new micro-apartments at The Pinnacle apartment block? Looking for some adventure? 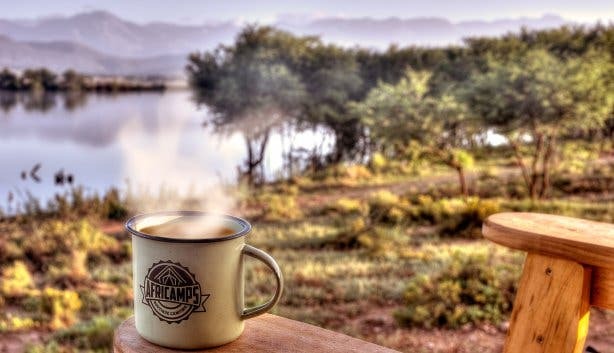 Check out these exciting top camping spots. Find out about the first 5-star 'Green' hotel in Blaauwberg Beach. Treat the family to spectacular Sunday spitbraai funday at Old Mac Daddy. Experience one of the most popular spots on the Garden Route in sophisticated luxury and home-feel comfort at aha The Rex Hotel. Keen on prepping for the upcoming holiday season by finding affordable accommodation? Have a look at the best budget getaways near Cape Town and incredible accommodation specials. If you're looking for a relaxed weekend away for two, take a look at our selection of romantic getaways. Plus, check out the world's most beautiful treehouse home in a Cape Town forest, which belongs to one lucky city slicker.